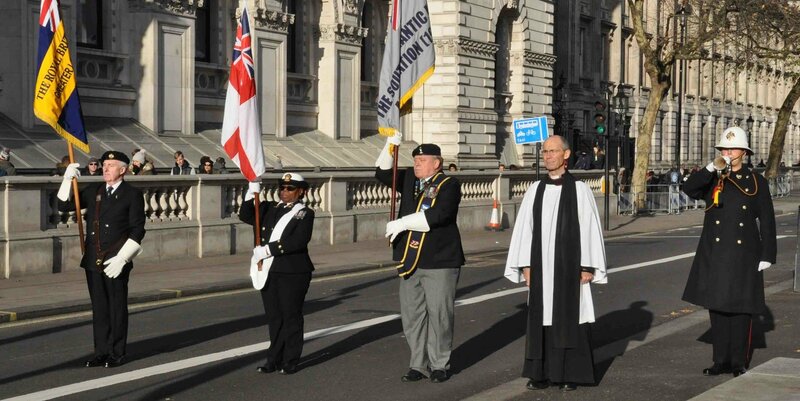 The Falkland Islands Association’s annual Battle Day Service of Remembrance was held at the Cenotaph in London on Saturday, 9 December 2017 at 11am. This year had seen the 35th anniversary of the 1982 conflict; so there was a good crowd to watch the ceremony. The service is held to commemorate those who lost their lives during the First World War naval battle off the Falkland Islands on 8 December 1914, when the Royal Navy defeated the German naval squadron under Admiral von Spee (a booklet on the Battles of Coronel and the Falkland Islands, both of which caused considerable loss of life, is available from the FIA’s Hon. Secretary). The commemoration has since been extended to cover those who lost their lives or suffered injury liberating the Falkland Islands following the Argentine invasion in 1982. The service was conducted by the Rev’d Dr Richard Hines, former Rector of Christ Church Cathedral in Stanley. 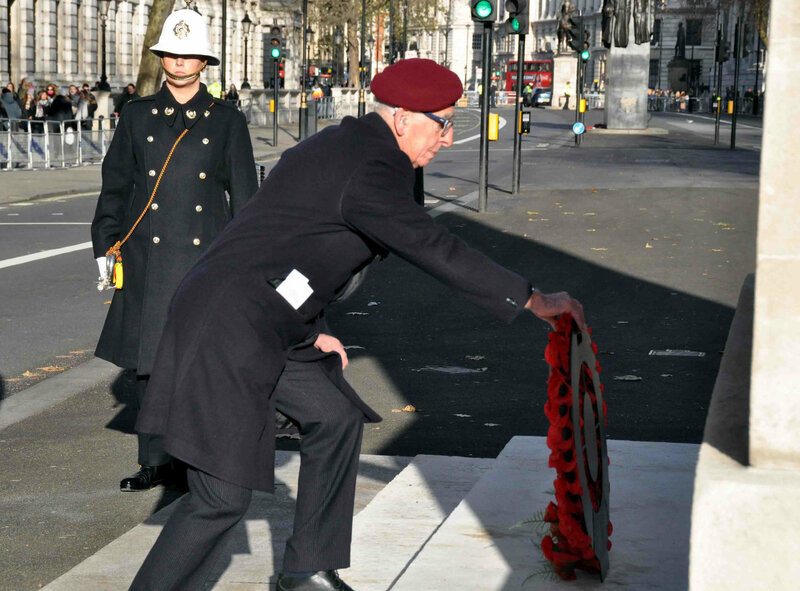 Major General Keith Spacie CB OBE, former Military Commissioner and Commander British Forces Falkland Islands, laid the principal wreath on behalf of the Armed Services. Other wreaths were laid by Ms Sukey Cameron, Falkland Islands Government representative in London; Mr Andrew Rosindell MP, secretary of the All Party Parliamentary Group for the Falkland Islands; Mr Alan Huckle, Chairman of the Falkland Islands Association; Ms Nina Ashton on behalf of the Falkland Families Association; Mr Gordon Mather MM, Chairman of the South Atlantic Medal Association; Mr Colin Vitler, HMS Protector Association; Mr John KIngsmell, Association of the Men of Kent and Kentish Men; and several young students from the Falkland Islands. The Parade Marshall was Air Commodore Peter Johnson OBE. Sea cadets from Pangbourne College provided the escorts to the colours, along with reservists from HMS President. A Royal Marine bugler from HMS Collingwood sounded the Last Post and Reveille. Major General Spacie inspected the parade in front of the Foreign & Commonwealth Office (FCO) main entrance before their dismissal. Members and invited guests moved off to the Royal United Services Institute (RUSI) at 61 Whitehall for the FIA’s Annual General Meeting (AGM) and luncheon afterwards.